It's been a year since Irma has changed our lives. Dustin and I were happy in Costa Rica with some of our Virgin Gorda family enjoying life like we always do. I remember Marsh and Dustin joking "Nothing can screw this up!". And me, the universal superstitious, laughing and saying "Do not say that!" I will always remember those words! We had no clue about what was coming! On our way back home, Dustin and I got screwed because of hurricane Harvey. First slap in the face. We managed to fly back to Austin in two days so it wasn't terrible but we did have some first hurricane concerns about family and friends in Southeast Texas. We didn't know if Dustin's grandpa was safe and alive and we feared for him because he decided to stay in his house next to the river. After 15 hours glued to the computer, we found that Dustin's grandpa was safe. What a horrible day not knowing about him and having the Cajun Police on a helicopter on the top of his roof telling Dustin on the phone that "the house is flooded." I found he was alive just at that moment via Social Media! Days later Irma came. I was checking flights to go back to Puerto Rico and then the BVI but when I saw the system approaching the islands, advancing through the Atlantic like a big menacing spider on the satellite maps, I decided to wait and see. I didn't return until December 2017. What a horrible, anguishing, sad and helpless days we had ahead. The day or Irma's arrival we were all chatting via WhatsApp, checking Facebook status, asking our people if they were safe, telling each other not to be alone, etc. etc. The next morning the first thing I did was check the phone and see the last messages, only to find nothing after the eye of Irma passed by. The first message I received from Virgin Gorda was from Lee Cowie. The guys went to CocoMaya and suddenly they had wifi to message us all: "Hey Marta, we're all safe. Limited wifi is back. VG has been destroyed". Suddenly all of us were jobless. Hundreds of people homeless, years of work gone, lifetimes of work and effort vanished, thousands of people's lives destroyed and changed forever in a matter of hours. Complete devastation. With my heart already shrunk, I felt lost and helpless and then I did what I knew I could do: Helping via Social Media. 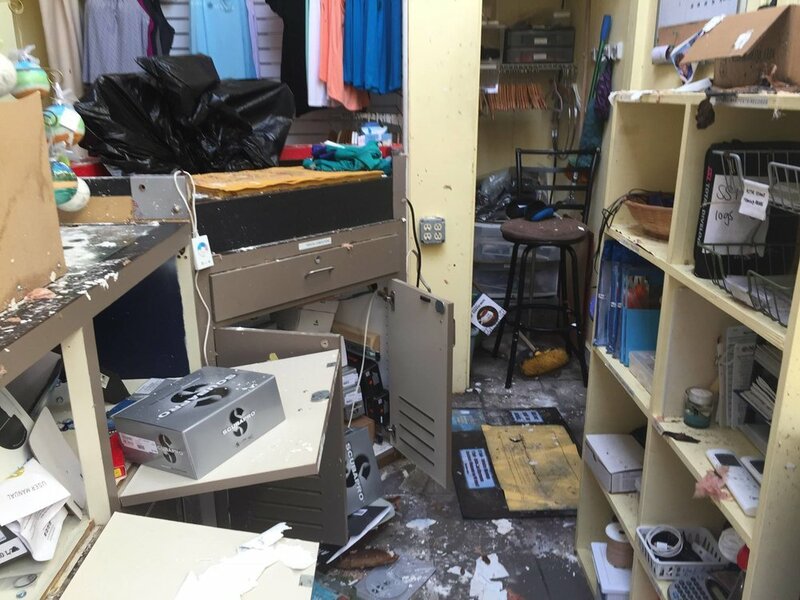 Casey McNutt, the owner of Dive BVI, created the fundraiser Virgin Gorda Relief. We just connected via Facebook trying to help and do something useful, so we started working towards our beloved Virgin Gorda community from our computers and keeping in touch with the first people who contacted us. Marshall Hodges, Island Birds Charters, was one of those people. He knew that the airports were going to be destroyed so he evacuated the planes from Beef Island to Antigua. Smart move! Then he came back again to help until hurricane Maria came, and saved the planes again. The first thing they did was evacuate people and find them shelter in Puerto Rico, as well as flying back with provisions. Puerto Ricans were amazing. Marsh! You guys rocked! My love to Nadia, Kary, Kim and all the Island Birds team! As communications were a little better we all landed automatically in our tasks. Different persons, different roles: evacuations, finding shelter in PR for the women and children, collecting provisions, sending water and supplies, tools, gas, diesel, satellite telephones, organizing the needs by urgency, contacting friends and acquaintances and basically creating a big well communicated Online Community. It was horrible not knowing about people, heartbreaking seeing your girlfriends being evacuated with the kids separated from their husbands who decided to stay there to rebuild and help the community. They've lost everything, like a war. Where do you begin? I cannot even imagine all these people being there and seeing the destruction and the feeling of "We've lost everything, where do we start?". Communications: Satellite phones are mandatory! Keep your passports and ID on a safe place. A friend of us lost her passport because of Irma and was forced to stay in VG until her mother sorted it out. It was a nightmare. The Puerto Rican Navy was amazing by helping the Virgin Gorda and the rest of the BVI community. Puertoricans started donating and collecting everything for the BVI and the Puerto Rican Navy was delivering all this help. 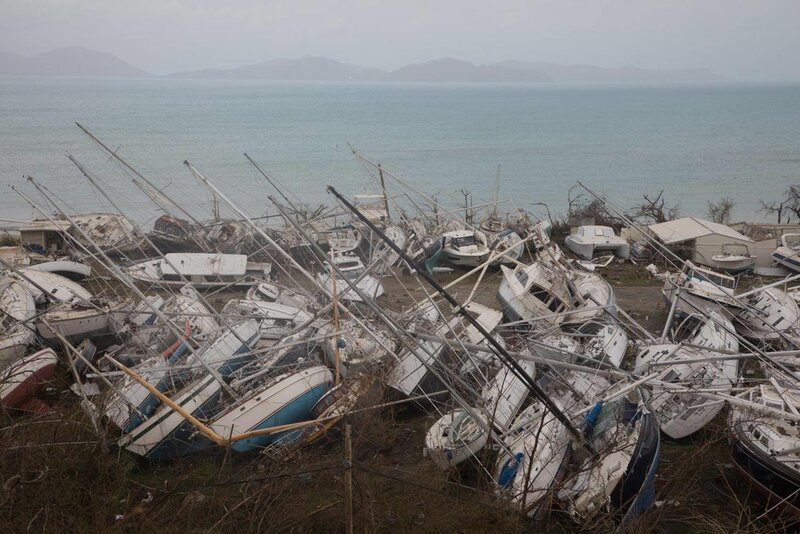 Lots of friends spent thousands of dollars by traveling on their private boats to Virgin Gorda with provisions and coming back with people to evacuate. Alex Garcia you were amazing. Thank you very much for your help! Thank you Cid Nava, you rock! You were every day on Social Media, contacting and evacuating people by private planes! You were amazing! 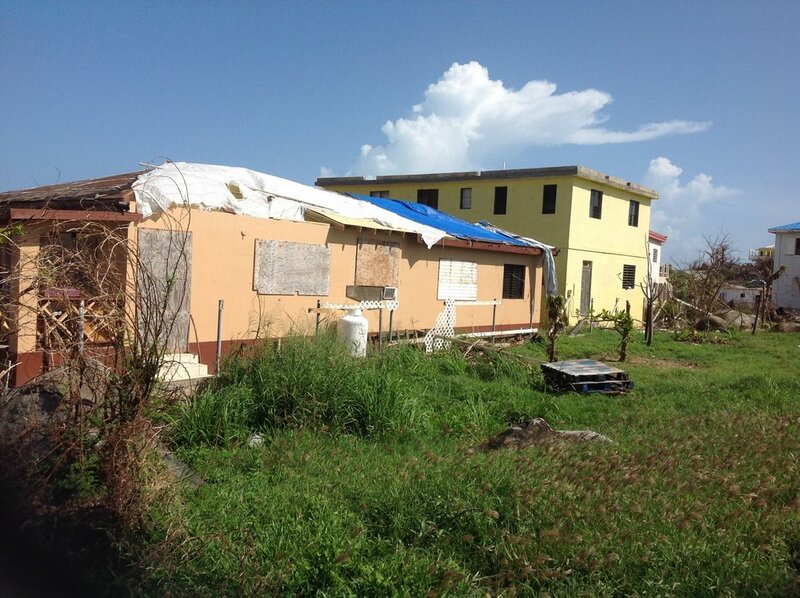 Island Birds Charters were incredible: Nonstop delivering water and provisions, evacuating people. We all went on this adrenaline rush that lasted for months. Thank you Necker Island and Eustatia Island! You provided tons of help! 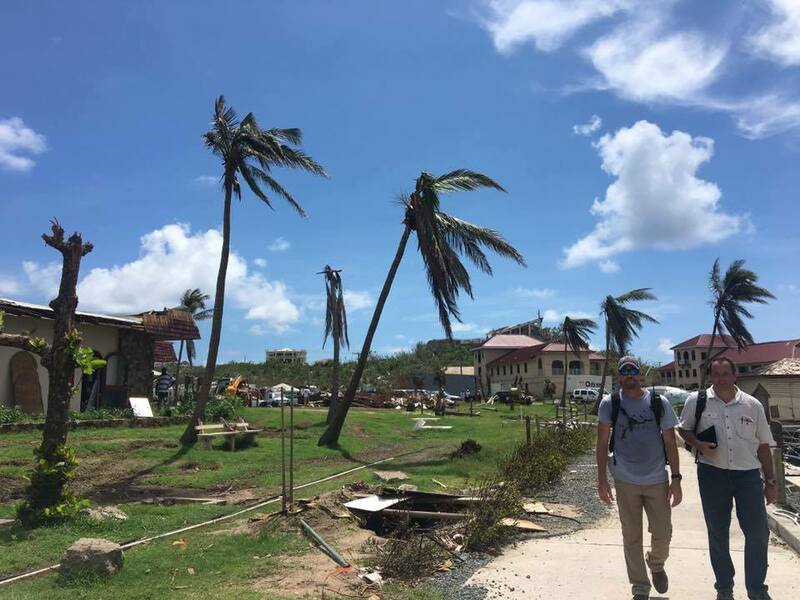 You filled 3 planes with provisions for Anegada and Tortola in just one day, plus all the water and more aid that you delivered to Virgin Gorda daily. So every day was like this. Intense. Dealing with lots of information to share. Different chats, different needs, connecting people, finding persons through other people's Facebook profiles, tagging, BVI groups, sharing fundraisers, I was networking from 7 am until sleeping time. It was non-stopping. My brain was fried at the end of the day. You have to not forget hundreds of details, some lady from Road Town looking for her kid, the New Zealand parents looking for their son, friends of friends, relatives, everybody wanted an answer and they do not know how to find them, and a vast etc. while you are dealing with other things like contacting volunteers, connecting people, organizing names and contacts and basically delivering all this info to Casey who was a machine making sure that all the provisions were delivered to the leaders of District 9. You even feel guilty from the fact of having a roof, water, electricity and food knowing that your people are living in the most horrible conditions. Suffering with no water, no roof, no electricity, mosquitos, dirt, no gas, no cars, no security, no communications... Every day was a challenge. Message from Josh Ridgway to Debbie and the kids. This was communication those days. Somebody took the pic and Casey posted it, was it Jeff? I don't even remember. It was like that everyday. You had to be inventive and creative! I remember spotting the message and sharing it everywhere. During all this process I've learned that when it comes to online fundraisers people can cheat as much as they want. It's incredible. Casey and I fought some plagiarizing. Somebody copied her VG Relief Fundraiser and it was a little bit of hell on the ride. We didn't mind if somebody wanted to create a fundraiser for Virgin Gorda, of course, but if you wanted to help too, why copying the one that does exist and has legal papers? Why didn't he share it? Having legal paperwork and be crystal clean is the way to go. Do not donate if you don't have the numbers explained, plain and simple, blanco y en botella. 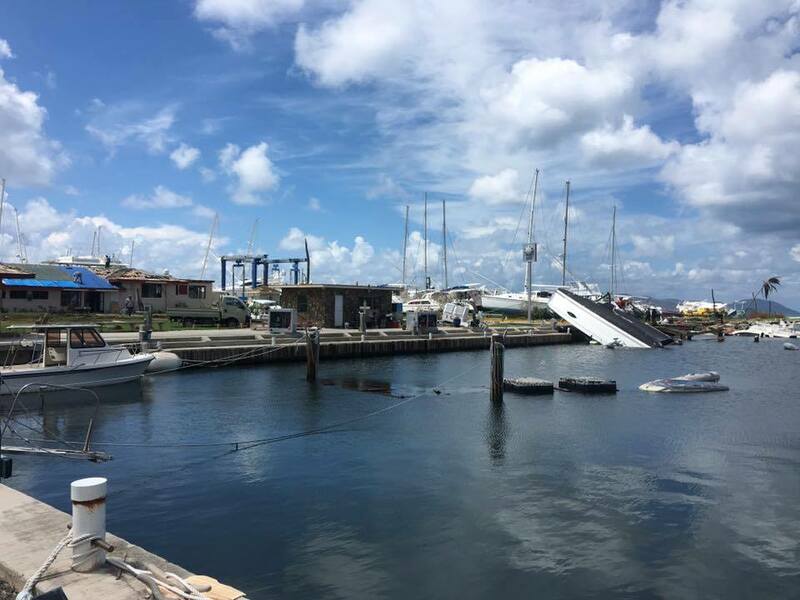 We also had a guy stealing from the damaged boats at Virgin Gorda Yacht Harbor, but there was only a couple of bad seeds on the community and hopefully, the majority of the people know about them. Tortola was worse, the prison on Tortola was open, so imagine the chaos. The fear. Desperate people with nothing ready to do anything to save their families or themselves. When you have nothing else to lose you will do anything. Not knowing and NOT having any sort of communication was the worst. Every day I've got little drops of information from the missing people. I do remember the phone call from Adrianna, Speedy's! What a joy to hear her voice and to know that Coralie and everybody were ok. I could picture her on Top of The Baths where she was and found some signal trying to reach us! In the meantime Facebook is collapsed: Everybody is asking about everybody and I am just reading each post and tagging people when I saw that somebody showed up alive. Facebook became the number one communication channel between Virgin Gorda and the world. If you use it properly you can do a lot of help and that's what we did. We managed to find a lot of people, deliver tons of useful information, daily updates, and basically help everybody with their needs, where to eat, where to pick up provisions, electricity and water updates, transportation, evacuation, and an endless etc. Hurricane Maria came later on September 20 devastating Puerto Rico with winds of 155mph, the strongest storm to make landfall in Puerto Rico in 85 years. Puerto Rico was already weakened by Hurricane Irma and they were amazing to the BVI community, but after Maria, the BVI's were on their own. 3,337,177 million of Puerto Ricans were left in the darkness for months. Another negative thing that I have to share here: When Maria destroyed Puerto Rico ALL the airlines's flight tickets tripled their prices. This was the most inhumane move I've ever seen. Something has to be done, some sort of law to stop all the airlines from raising their prices during humanity emergency situations. 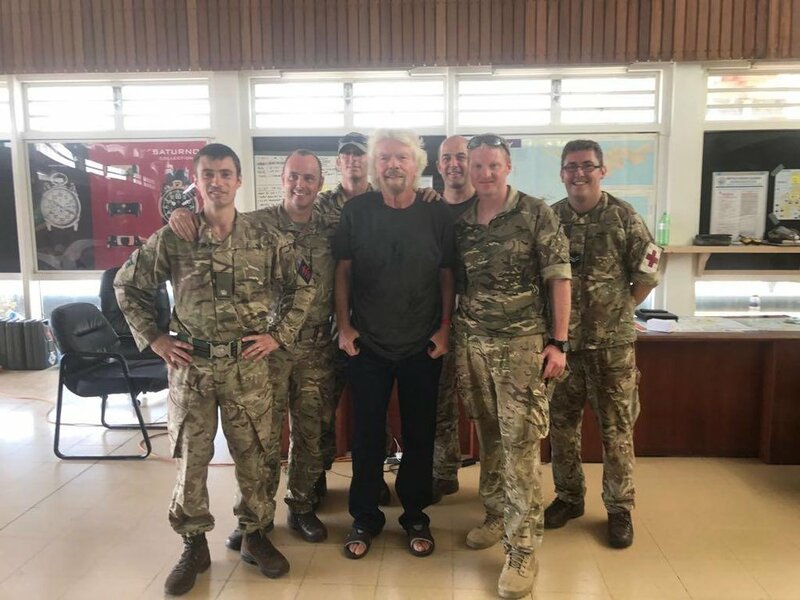 We've also had hundreds of volunteers from all over the world: engineers and construction people ready to camp in Virgin Gorda and the rest of the islands to start the rebuilding. The BVI permits and paperwork were a wall for this. Hundreds of tough guys were on queued because of the difficult immigration procedures. Please make an "emergency easy volunteers permit law" for the future! 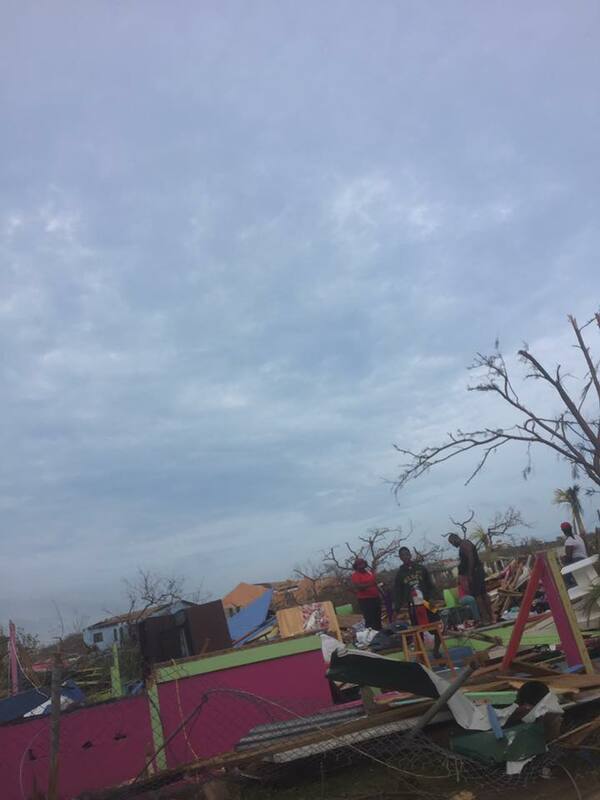 Thanks to Casey's fundraiser, Virgin Gorda Relief, and all the people's help around the world Virgin Gorda was surviving. Casey McNutt , Vincent Wheatley, Laura Fox, Jeff Mc Nutt, Chris Yates, Gumption, Esther Wheatley, Cid Nava, Rose Giacinto, Aaron Seddon, Lee Cowie, James Grant, Geoff Manchester, Marsh Hodges, Michelle Hodges, Simon Fox, Valerie Barcik, Gumption, Kim Takeuchi, Natasha Chalwell, Tommy Dardet, Alex Garcia, Shereen Flax, Paola Moretti, Necker Island, Eustatia Island, Viso, all the volunteers, donations, people all over the world, these are names that pop in my mind when it comes to those crazy days of nonstopping help. Some of them helped with evacuations, some with the organization, supplies distribution, communications, providing water and supplies, feeding the community every day... Each person had his/her crucial role and you all did amazing, forgive me if I forget some names. You guys know better because you were there, I was on the other side, behind the scenes. For all the ladies and families who had to leave, you rock. The ones who decided to stay, you rock. 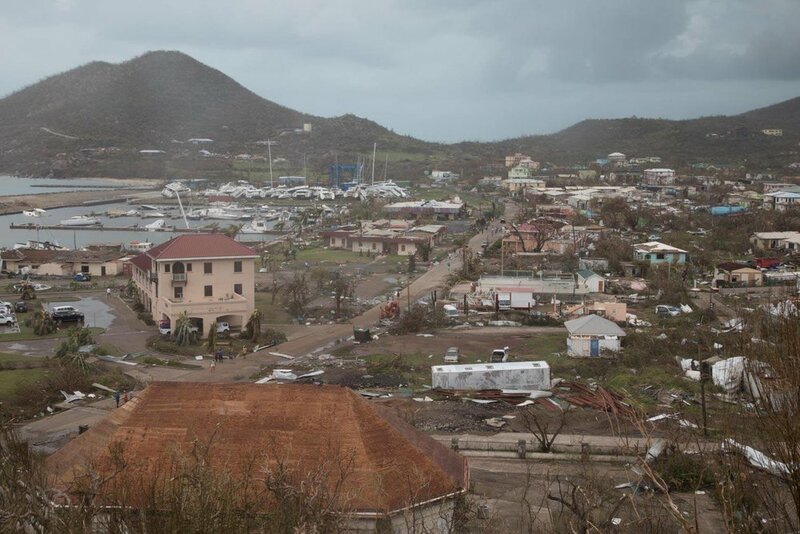 Whatever decision you made I know it was hard, tough and all of you sacrificed a lot in order to rebuild our unique and beloved Virgin Gorda. All of you are such an example of true caring, love, unity, strength and determination. One Love. Live life and Love your clan like there’s no tomorrow!